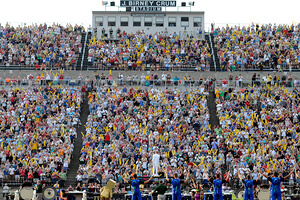 Jersey Surf performs at the 2012 DCI Eastern Classic. Two-night ticket packages for the DCI Eastern Classic at J. Birney Crum Stadium in Allentown, Pa. are now on sale. Featuring all of DCI's World Class corps in their top form just days before they head to Indianapolis for the World Championships, the 2013 Eastern Classic will take place on Friday, Aug. 2 and Saturday, Aug. 3. Giving you access to great seats to both nights of competition, packages range in price from $50 to $70. They can be ordered online or by phone at 317.275.1212. Learn more and order your Allentown tickets today!